Portuguese - a portuguese bird houseu! Trabsform your garden.... grant it life, grant it colour. Portuguese is a great invitation for the smaller birds. 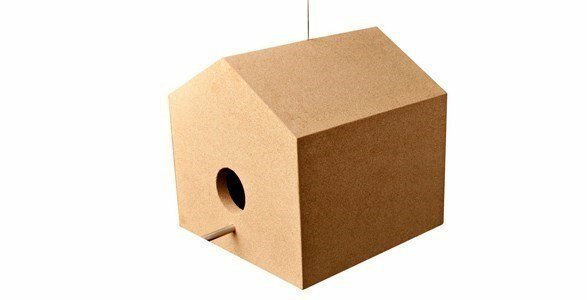 The entrance, with a small pedestal, has the right size for the smaller birds, avoiding the entrance of unwanted guests. 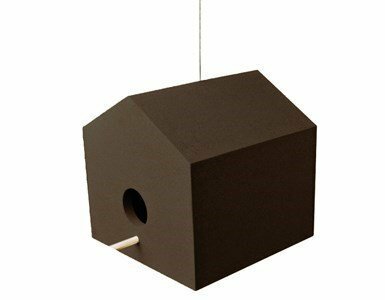 The birds houses can be suspended by steel cables or can be fixed on the fllor by a steel support..
Made of cork agglomerate and steel tube. A very special friend, always faithful that deserve all our attention and affection.